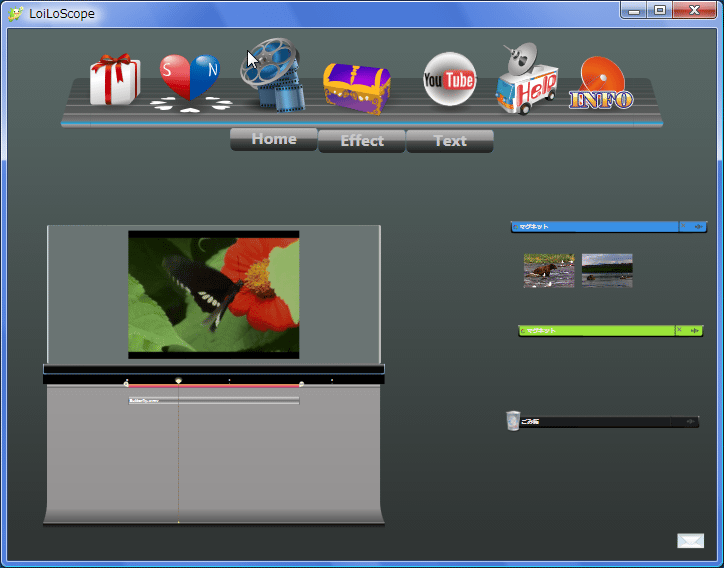 Super LoiLoScope is a fast video editor designed for editing AVCHD/HDV/DVD videos and various video files and with support for GPU assisted decoding/encoding. Editing functions include resize, trimming, remixing, all in a timeline based editing facility. You can use LoiLoScope to create DVDs from your digital video camera footage, or upload them to YouTube, Facebook, Twitter, or your media players like the iPod or iPhone or even the PS3. LoiLoScope also features the ability to make slideshows from photos. A free version of LoiLoScope is available with limited functions.